A selection of verses and rhymes with real bite! A best-selling collection of poems about all kinds of dinosaurs, illustrated in full colour throughout by best-selling illustrator, Korky Paul. Great combination of well-known author and award-winning artist. 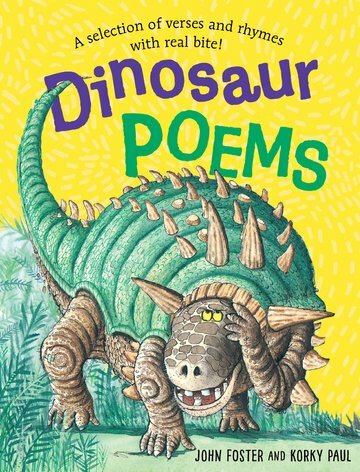 Impressive sales record Dinosaur Poems has already sold over 25,000 copies in previous editions. Perfect for introducing children to poetry either at home or at school. Great package with a new format, new cover, and new design throughout.